~Mrs. 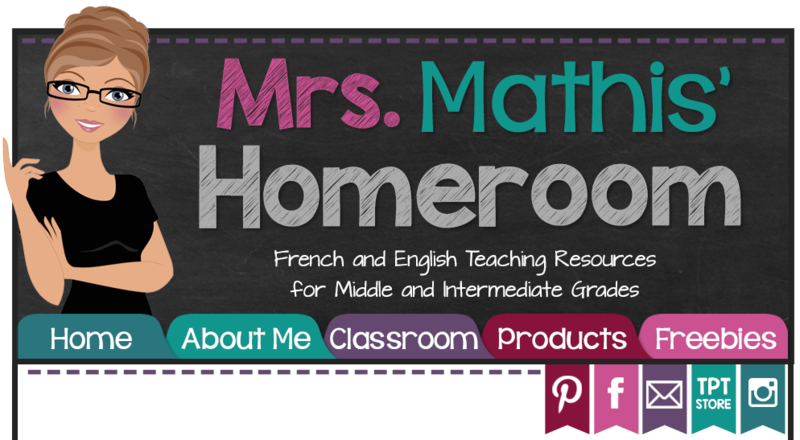 Mathis' Homeroom~: Introducing Mme Julie! 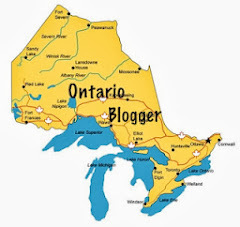 Recently, I connected with another francophone teacher from Ontario, Mme Julie, through my Facebook Fan Page. We started talking and I noticed that we had a friend in common (my neighbour!). We also discovered that we share a birthday! I have another birthday twin (the other one is my husband's cousin)!! How cool! What's even more cool is that we actually work for the same school board, although our paths have never really crossed....or so I thought! It turns out that Mme Julie was actually a teacher at my kids' school a couple of years ago! What a small world!! And we connected all because of this amazing world of blogging!! 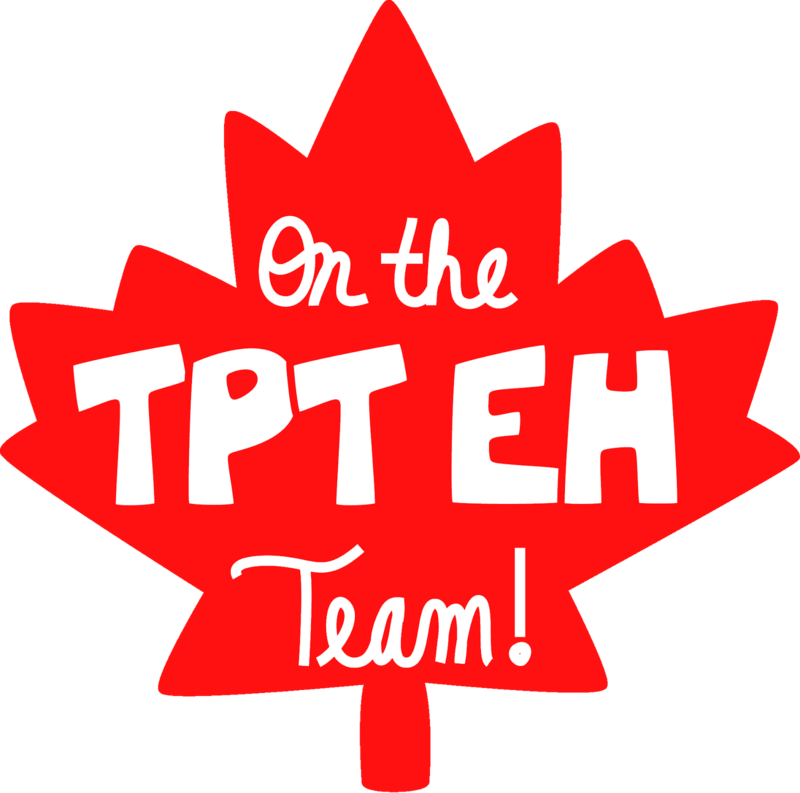 Mme Julie's TpT Store has great resources in both French and English, and I am her newest follower. Her resources are mostly geared towards Kindergarten to Grade 3. 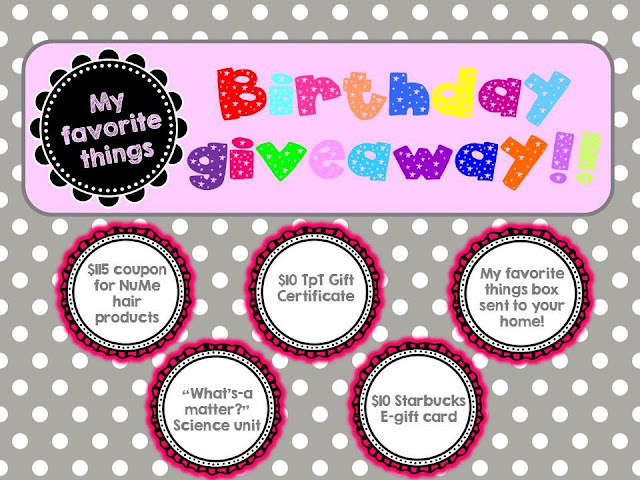 She also has a blog, Mme Julie's Classroom and she is hosting a fun giveaway of some of her favourite things right now! Go check her out!! It was my pleasure Julie!